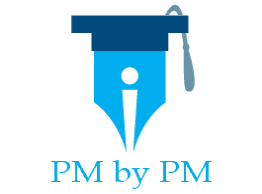 I have written this post to do pmtraining review. You might be preparing for the PMP exam. You have heard a lot about PMTraing and Christopher Scordo. But you are not sure if you should buy PMTraining product(s). Most certainly, you will read a few PMTraining reviews before spending the money. You will analyze and investigate pmtraining.com. And lastly, you would evaluate and assess the product that you want to buy – examine & scrutinize it to list down its pros & cons. I have written this post after reviewing PMP study products from PMTraining. Hopefully it will help you choosing the right exam prep product. PMTraining is part of SSI Logic. It was founded by Christopher Scordo. It has been providing professional certification test prep products since 2004. Today, PMTraining offers exam prep products on various tests including PMP, CAPM, PMI ACP, Scrum Master, and ITIL. They provide online & offline training courses, simulated mock & practice tests, and books. They employ many subject matter experts to create, maintain and update these products. PMtraining is a PMI Registered Education Provider (R.E.P.). Its courses adhere to PMI’s guidelines and are pre-approved for applying to the PMI exams. Christopher Scordo (PMP, ITIL) is the Founder and Managing Director of PMTraining. He has authored many best-selling exam study guides. He started his journey by publishing PMP exam prep book. It is a very popular book with PMP aspirants. The book titled PMP Exam Prep Questions, Answers, & Explanations created the foundation for PMTraining. It is authored by Christopher Scordo. It has about 1000 PMP exam sample questions. Before the online simulators become famous, it was considered as the Gold standard for PMP exam prep. It is still a bestselling PMP book on Amazon. Till January 2016, PMI used to provide access to digital copies of few books. These books were free for the PMI members. Christopher Scordo’s book was among them. Unfortunately PMI has taken off this facility. Today, PMTraining offers two products for practicing mock tests – book and simulator. The simulators is extremely popular among exam aspirants. It is priced competitively and has all the features that an online test should have. You can look at my article on best PMP exam simulator to find head-to-head comparison of simulation tests. It will help you understand how PMTraining’s practice tests fare against other top selling products. PMTraining offers PMP training in two formats – self learning online and instructor led live online. Both these formats are also very popular among the students. You can use either one of them to satisfy the PMI’s requirement of 35 contact hours of project management education. You can look at my articles on best PMP online training and Online PMP Boot Camps to review and compare PMTraining’s products against the other top selling training courses. PMTraining sells two products for the CAPM exam preparation – an online training course and simulator. These courses provide similar value as the PMP courses. Every year many students enroll into these courses to successfully pass the exam. You can read my detailed review and comparison articles to understand their value – CAPM Online Training and CAPM Practice Tests. PMTraining offers three products for PMI-ACP exam preparation viz. a test simulator, online PMI-ACP training, and live online class. I have done a detailed review of PMI-ACP test simulator. I have compared it against the other leading practice tests. You can read my article on Best PMI-ACP Exam Questions Simulator to find out how PMTraining’s simulator compares against the others. Overall, PMTraining offers a good value for your money. You can look at my other articles to review and compare its courses against other top selling products. I have found its courses to be very good and can certainly recommend you to buy them. Renowned Customer Service & Support – you can contact the company through chat, email of phone. They provide prompt support to your queries. Great Technology Platform – The company uses latest technology for its eLearning programs. Its technology platform is second to none. Its mobile app and course dashboards are very good. You can keep a track of your progress and measure your own performance. Experienced & Knowledgeable Subject Matter Experts – the company employs leading experts for course development and maintenance. Many of them work are university professors, corporate trainers, and eLearning experts. Excellent Quality – The company gives high importance quality of the courses. They go through multiple review cycles. They have been checked, scrutinized, and refined over the years. Exam Oriented Study aids – The company offer various study aids for the exam prep. They are useful for not only passing the exams but also for understanding finer aspects of project management. Online Courses Seem To Be Expensive – Company’s simulators and live online courses are very competitively priced. In fact, their simulator is priced much lower than its competition. But some people feel that their online course has a very high price. I think their online courses offer an extremely good value for the money. No Product bundles – the company does not offer any product bundles for aspirants who are preparing for multiple exams. No Online forum or community – There is no online forum or community. Peer and expert support through a forum is extremely useful for any type of exam preparation. Which certification test are you preparing for? Are you planning to buy a PMTraining course? Which one do you think is the top advantage of PMTraining?